Green Rooted, for a garden to be proud of. Green Rooted specialise in maintaining gardens, offering both one off visits and regular services tailored to keep your garden or grounds looking their best throughout the year. Built on years of experience and with a great reputation, we offer a friendly, reliable and hard working service. Serving domestic, commercial and public gardens of all sizes throughout Brighton and East Sussex. After a free initial consultation we will recommend the services your garden requires. At Green Rooted we maintain a variety of properties; from small town gardens to commercial developments and nursing homes. Full garden maintenance package: regular visits organized to maintain your garden/grounds all year round. One off service: for when your garden/grounds has grown out of control. Services provided for commercial clients. Our tree surgeons are fully NPTC qualified and have a wealth of experience within the arboricultural industry. We are fully insured, and all of our work is undertaken to comply with British Standards and associated guidelines. Crown Reduction: Crown reductions reduce the height and/or spread of the crown of a tree, keeping it safe, tidy, manageable and in keeping with its surroundings. Crown Lifting: Crown lifting is the removal/pruning of the lowest branches to create a balanced and uniformed height from ground level. Crown Thinning: Crown thinning is the removal of selected internal branches throughout the tree to reduce density in the crown and produce a uniform appearance. Tree Felling: Felling is the complete removal of a tree down to ground level. Tree planting and stump grinding are also services we carry out. Green Rooted offers a hedge and shrub cutting service. Pruning of small ornamental hedges, conifers and large shrubs. Reshaping of hedges and shrubs. 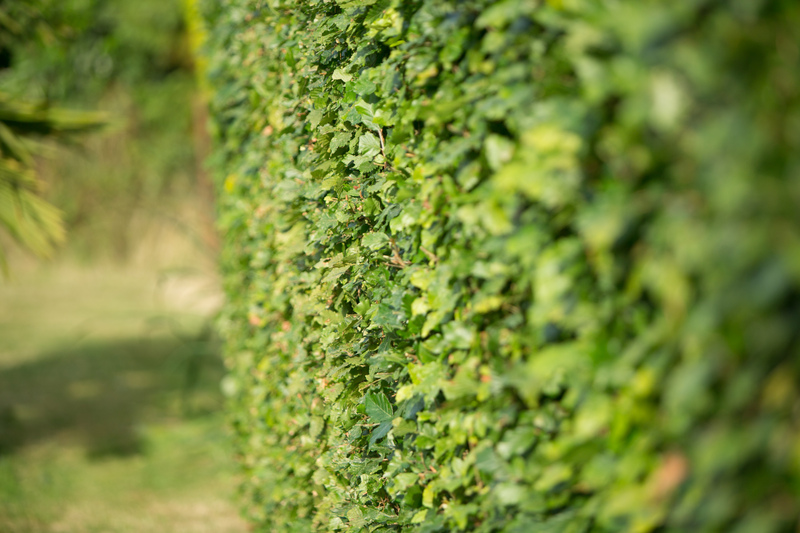 Major re-establishment of an overgrown hedge can be achieved providing you with lower maintenance pruning. Running from March – October, our popular lawn mowing and lawn care service is an ever-growing part of Green Rooted. Choose from a one off cut or a regular cutting service. Our regular cutting service is tailored to you – choose from either a weekly, fortnightly or monthly cut and a price will be agreed upfront and will be the same for each visit. We offer lawn care packages that will help you to get the best out of your lawns. Use our Garden waste removal service for your entire garden waste disposal. All green waste is 100% recycled locally. Price includes sweeping and tidying the area once complete. All of our staff have a very broad knowledge of garden maintenance. We have an enthusiastic and dynamic team, who can offer the best expertise and advice for each element of garden maintenance, from fully NPTC qualified tree surgeons to lawn and plant experts. Rest assured with our public liability insurance cover of up to £2million. All of our machinery is regularly serviced to ensure time efficiency and excellent service. Being a green company, 100% of all garden waste is taken to a local recycling plant. All of our equipment including vehicles are the most carbon efficient in the market. We really do care about the environment.